Mycobacterium tuberculosis, the etiological agent of tuberculosis, (TB) is responsible for an estimated 1.5 million deaths worldwide annually. 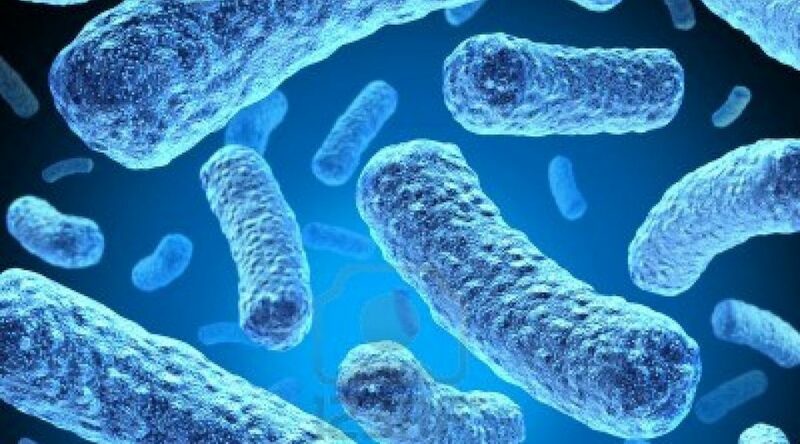 The emergence and spread of M. tuberculosis multidrug-resistant (MDR) and extensively drug-resistant (XDR) strains and, more recently, totally drug-resistant (TDR) strains is an extremely dangerous threat to public health, in particular to immunocompromised patients. In the new pathway for the discovery of drugs to combat the increasing menace of drug-resistant microorganisms, the crucial first step is to generate a set of target genes, from whole-genome data, that offer the potential for effective therapeutic intervention. Our objectives in the project “More Medicines for Tuberculosis – MM4TB” (VII Framework programme) are to find the molecular targets of prioritized molecules, already available, as well as natural products and synthetic compounds (hits) effective in models of active or latent TB. Among these molecules, we are studying the mechanism of activation of the TP053 prodrug (Albesa-Jove D et al., 2014, ACS Chem. Biol.) and we are searching for its possible cellular target. We have identified the mechanism of inactivation of the Ty38c quinoxaline derivative (Neres J et al., 2014, ACS Chem. Biol. ), targeting the DprE1 enzyme identified within the previous “New Medicines for Tuberculosis – NM4TB” (VI Framework programme) as cellular target of Benzothiazinones (BTZ). Recently, a BTZ derivative entered human clinical trials. Lastly, the PyrG CTP synthase enzyme has been identified as the common cellular target of two different prodrugs (Mori G et al., 2015, Chem. Biol.) and it is considered a new promising vulnerable target in M. tuberculosis. Collaborators: Cole ST (EPFL, Lausanne, Switzerland), Makarov V (Bakh Institute of Biochemistry, Russian Academy of Science, Moscow, Russia), Baltas M (CNRS, Toulouse, France), Mikusova K (Comenius University in Bratislava, Department of Biochemistry, Bratislava, Slovakia), Guerin M (Biophysics Unit, University of the Basque Country, Bilbao, Basque Country, Spain), Marengo E (Università del Piemonte Orientale, Alessandria, Italy). Synthesis of new molecules effective against cenocepacia. We recently found that a benzothiadiazol compound (10126109) is very active and we identified a mechanism of resistance, which relies on the extrusion of the new drug by RND-9 transporter. The compound is active against clinical isolates and other members of the Bcc, as well as against other Gram-negative and -positive bacteria. We recently identified the mechanism of action and evaluated the toxicity on CF epithelial bronchial cells. New derivatives of 10126109 will be synthesized with the aim to find more active molecules. Moreover, inhalable formulations will be developed in order to administer it to mice to evaluate its in vivo efficacy. Characterization of the quorum sensing enzymes, as a target of anti-virulence compounds which could represent a new promising therapeutic approach. The two enzymes CepI and DfsA have been obtained in recombinant form and, for the latter the crystal structure have been resolved. The activity assay of both enzymes have been assessed, allowing the screening of a potential inhibitors. These screen led to new compounds active in vitro against CepI, which are able to dramatically decrease the virulence of the bacteria in an in vivo elegans model. Collaborations: Makarov V (Bakh Institute of Biochemistry, Russian Academy of Science, Moscow, Russia), Cardona S (University of Manitoba, Winnipeg, Canada), Coenye T (University of Gent, Belgium), Ungaro F (Università di Napoli Federico II), Bragonzi A (Ospedale San Raffaele, Milano), Drevinek P (Motol Hospital, Prague, Czech Republic). Endophytic bacteria have been found in virtually every plant studied. Most endophytes appear to originate from the rhizosphere or phyllosphere; however, some may be transmitted through the seed. Endophytic bacteria can promote plant growth and yield and can act as biocontrol agents. Endophytes can also be beneficial to their host by producing a range of natural products that could be harnessed for potential use in medicine, agriculture or industry. In addition, it has been shown that they have the potential to remove soil contaminants by enhancing phytoremediation. So a major reason for the increasing interest in endophytes is the potential for biotechnological applications. All classes of antibiotics have seen the emergence of resistance compromising their use. The emergence and dissemination of multi-drug-resistant bacteria and the lack of new antibiotics with new modes of action are today one of the major challenges to treat infectious diseases. Endophytes are capable of synthesizing bioactive compounds that are used by plants for defense against pathogens; thus, these microorganisms may represent an underexplored reservoir of novel species of potential interest in the discovery of novel lead compounds. Natural product drug discovery has regained interest due to low production costs, structural diversity, and multiple uses of active compounds to treat various diseases. Seed germination is a vital phase to plants’ survival and reproduction in either optimal or stressful environmental conditions. Thus, developing methods by which seedling emergence can be enhanced and predicted under the limitations of heat or drought is valuable. The use of endophytic symbionts is a promising method by which seed germination can be enhanced and plants protected from environmental stressors. The exploitation of plant–endophyte partnerships for the remediation of contaminated soils is a promising area. For example, in the case of phytoremediation of toxic metals, endophytes able to produce natural metal chelators can reduce metal toxicity for their host plant. The aim of this recently activated project is to isolate the cultivable, endophytic bacteria from the seeds of commercial genotypes of leguminosae belonging to genus Medicago and Trifolium to characterize bacterial strains for the production of new antibacterial agents, germination of seeds and phytoremediation of soils. The number of multidrug resistant (MDR) strains of Mycobacterium tuberculosis (Mtb) is increasing and without effective treatments; the fear is that the number of infections caused by MDR strains will increase out of control. Therefore, new drugs of different classes against diverse targets are urgently needed. Pyrrole derivatives show a potent activity against Mtb and MDR clinical isolates of Mtb as well as on intracellular bacilli. On the basis of these results, BM212 was considered the lead compound of this new class of derivatives. The Pavia team has identified the membrane protein MmpL3 as target for this compound. MmpL3 is required for the export of mycolic acids in the form of trehalose monomycolates (TMM) to the periplasmic space or outer membrane of Mtb. Recently other researchers have identified seven series of inhibitors that abolish MmpL3-mediated TMM export confirming this essential protein as a novel target for new antitubercular agents. The aim of this project is to characterize the MmpL3 protein for both molecular modeling studies and synthesis of new and more efficient inhibitors. Nontuberculous mycobacteria (NTM) are emerging as important pathogens in cystic fybrosis (CF) lung disease worldwide with an estimated prevalence of about 9%; the Mycobacterium abscessus strains are the most spread in Europe. The M. abscessus treatments are further complicated by the diffusion of strains with inducible macrolide resistance. In these cases, the surgical resection of infected lung tissue could be beneficial in selected patients. Moreover, unsuccessful M. abscessus eradication is considered a contraindication for lung transplantation, being associated with treatment failure and increased mortality. Screening of a several compounds (more than 500) synthesized by our collaborator Dr. V. Makarov against abscessus growth. Evaluation of the sensitivity of other NTM species and clinical isolates to selected compounds. Characterization of the mechanism of action/resistance of the selected compounds. Collaboration: Makarov V (Bakh Institute of Biochemistry, Russian Academy of Science, Moscow, Russia).